to delivering sustainable value to stakeholders. In June 2018 the group announced the conclusion of the sale of its Equipment Iberia business. In compliance with IFRS 5, and as presented at the year ended 30 September 2017, the results of the Equipment Iberia operations and the profit on the sale of this operation have been reported separately as a discontinued operation. The following commentary reflects current year trends from the group's continuing operations unless specifically stated. Revenue for the year increased by 2.4% to R63.4 billion (2017: R62.0 billion) on the back of a record performance in Equipment Russia together with solid growth in Equipment Southern Africa. Despite geopolitical challenges in the latter part of the year, Equipment Russia continued to benefit from strong mining activity in the region, specifically the delivery of large orders contracted at the end of 2017, with revenue up by 57% in US Dollar terms to $606 million (2017: $385 million). Equipment Southern Africa revenues of R19.8 billion were 8.1% above prior year (2017: R18.3 billion) driven by mining machine sales in South Africa and Mozambique. Automotive revenues at R29.8 billion (2017: R31.6 billion) were down by 5.6% against the prior year. Automotive trading revenues were impacted by the 2017 closure and disposal of three General Motors and two BMW dealerships, together with the changes in revenue recognition in line with the agency model for Mercedes-Benz new passenger vehicle sales during the year. Logistics' successful turnaround continued with transport revenues growing by 6.0%, however total Logistics revenue of R5.9 billion (2017: R6.2 billion) was 4% behind the prior year following the loss of key contracts in the prior year. While the Rand weakened towards the end of the second half of the financial year, a strengthening in the Rand during the first half of the year resulted in a net year to date reduction in revenue of R356 million (0.7%) with the bulk of the reduction impacting Equipment Southern Africa and Russia. Earnings before interest, taxation, depreciation and amortisation (EBITDA) of R7.0 billion improved by 4.2% while operating profit improved by 7.9% to R4.4 billion (2017: R4.1 billion). Group operating margin increased to 6.9% (2017: 6.6%). Margins in Equipment Russia and Equipment Southern Africa were negatively impacted by stronger mining machine sales mix contributions which in time will contribute positively to aftermarket activity. Russia generated record operating profits of $61.7 million (2017: $43.6 million). Equipment Southern Africa maintained operating profit at R1.8 billion (2017: R1.8 billion) which was assisted by the release of parts inventory provisions following certification of our rebuild facility. Automotive operating margin improved despite closures and disposals in the prior year while operating profit declined by 2.6%. A highlight of this year's operating profit growth was the turnaround of Logistics which contributed operating profit of R262 million against last year's R101 million, an increase of 160%. Net operating profit after tax (NOPAT), a key element of our ROIC metric for determining economic profit (EP), increased by R126 million to R3.3 billion (2017: R3.2 billion). The net negative fair value adjustments on financial instruments of R133 million (2017: R209 million) largely consist of the cost of forward points on foreign exchange contracts, translation gains and losses on foreign currency denominated monetary assets and liabilities in Equipment Southern Africa. The weakening of the Rand, particularly towards the end of the financial year, resulted in exchange gains in respect of US Dollar held deposits. Net finance costs of R1 035 billion are down by R186 million (15%) on the prior year due to lower average borrowings and lower funding rates in South Africa. Losses from non-operating and capital items of R248 million consist largely of impairments of goodwill, intangibles and other assets of R234 million in Logistics following the decision to dispose of the KLL and SmartMatta businesses and the impairment of an investment held by our Automotive business (R24 million). The taxation charge increased by R385 million and the effective tax rate (excluding prior year taxation and non-operating and capital items) increased to 28.5% (2017: 23.9%) largely as a result of local currency weakness against the US Dollar in certain offshore operations. In particular, the group's tax charge was negatively impacted by the weakening Angolan Kwanza, Zambian Kwatcha and Russian Ruble against the US Dollar. The increase in income from associates and joint ventures in the year is mainly attributable to the profitability of the Equipment joint venture in the Katanga province of the DRC. Income of R235 million was well up on the R93 million achieved last year. The discontinued Equipment Iberia operations generated a net gain on sale of R1.6 billion, representing the premium to net asset value of the sale of proceeds and a R1.5 billion gain in respect of the recycling of exchange reserves accumulated since the acquisition in 1992. Overall, profit from continuing operations increased by R247 million (12.2%) to R2.3 billion and headline earnings per share (HEPS) from continuing operations increased by 18% to 1 151 cents (2017: 975 cents). Total HEPS including discontinued operations increased by 35% from 883 cents to 1 192 cents. Generating cash flow is a key returns measure for management and the group achieved net cash flows before financing activities of R2.6 billion, which was in line with the prior year. This was after dividend payments of R953 million for the year. Cash generated from operations of R3.8 billion was down on the prior year (2017: R6.0 billion) but strong in light of market conditions weighing on our operations. The group invested R2.1 billion into working capital in the current year compared to the R1.5 billion reduction last year. The increase was largely as a result of increased inventories and receivables in our Equipment businesses. Investments in our rental and leasing fleets were contained to R2.2 billion (2017: R2.9 billion) with car rental well down on the prior year. Cash inflows from investing activities of R1.9 billion (2017: R329 million outflow) included the proceeds from the sale of Equipment Iberia of R2.5 billion (€163 million). Our ongoing strategy to hedge our exposure in Angola by investing in Angolan US Dollar linked government bonds protected us against the Kwanza devaluation of more than 76% that has occurred since January 2018 following that currency's unpegging from the US Dollar. Due to improved US Dollar currency allocations in Angola in the latter part of the year we have marginally reduced our investment in Angolan US Dollar linked government bonds at September 2018 to US Dollar 64 million (2017: US Dollar 66 million) and we have reduced our Kwanza cash on hand by US Dollar 20 million. Total assets employed in the group increased by R2.9 billion (6.3%) driven by increased inventories and receivables in our Equipment businesses, together with an increase of R4 billion in cash on hand at year end. Assets held for sale of R497 million include the Logistics Middle East business, the KLL and SmartMatta Logistics assets and the Barlow Park office park. Total debt increased by R1.5 billion to R11.2 billion (2017: R9.7 billion) while net debt of R3.3 billion was R2.5 billion down on the prior year (2017: R5.8 billion) as a result of the increase in cash on hand. The UK pension scheme deficit decreased from R2.2 billion (£123 million) to R1.8 billion (£95 million) mainly due to an increase in the AA corporate bond yield which reduced the estimated future pension liability. 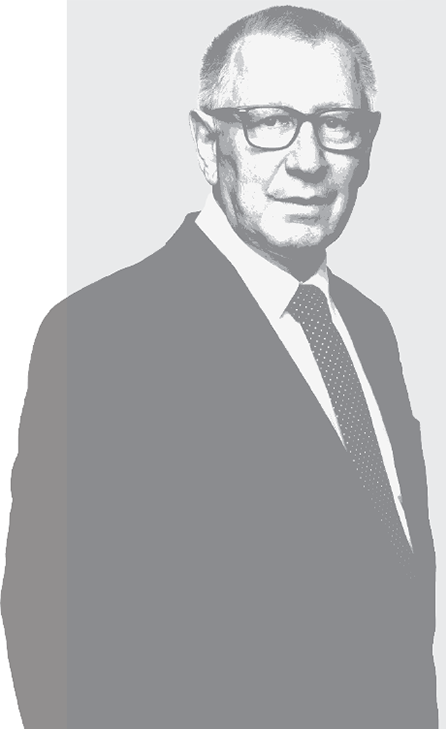 As part of the 2017 triennial recovery plan agreement with the trustees and the UK Pensions Regulator, the group has agreed a payment plan for the next eight years to address the actuarial deficit at the 2017 valuation date. Return on equity from continuing operations increased to 11.4% from 10.5% last year. Return on invested capital increased to 12.3% from 11.2% driven by increased NOPAT and a reduction in our overall invested capital to R26.0 billion (2017: R26.6 billion). The primary driver of the reduction in invested capital was in the Logistics business where management has reduced the invested capital by R510 million. In October 2017 bonds totalling R425 million (BAW3 and BAW8) matured and were repaid using available banking facilities. In February 2018, BAW29, a five-year, R400 million bond was issued in anticipation of bonds maturing in the latter part of the calendar year. 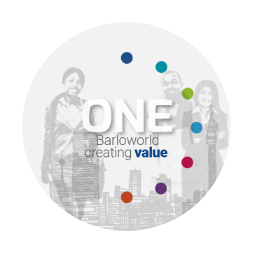 BAW11 and BAW17, totalling R1.2 billion, mature in October and December 2018 respectively with BAW11 repaid just after year end using existing facilities. The refinance of BAW17 will be addressed with a new R700 million three-year bond to be issued in December 2018. Overall the group debt maturity profile is well balanced in future years. Closing South African short-term debt includes commercial paper totalling R700 million (2017: R643 million). Subject to funding rates, we expect to maintain our participation in this market. At 30 September 2018 the group had unutilised borrowing facilities of R10.6 billion (2017: R10.7 billion) of which R8.1 billion (2017: R8.0 billion) was committed. The group's ratio of long-term to short-term debt declined to 54%:46% (2017: 79%: 21%). The increased short-term debt ratio is attributable to maturing bonds of R1.2 billion (as highlighted above). The group has sufficient long-term committed facilities to cover short-term debt. P-1. Net debt to EBITDA of 0.5 times is well down on the prior year of 0.9 times and supports our capacity for future transactions. Net debt to equity has also reduced to 14.7% from 27.6% in the prior year with 176% of our year-end net debt in the leasing and Car Rental business segments and the Trading segment in a net cash position. 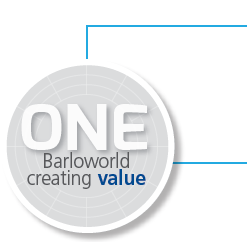 Barloworld's dividend policy is to pay dividends within an annual HEPS cover range of 2.5 to 3.0 times. On the back of the results of the year, dividends totalling 462 cents per ordinary share have been declared, representing cover of 2.5 times. The execution of our strategy to fix, optimise and grow the business has yielded improved returns for our shareholders and we remain committed to delivering on this strategy. Notwithstanding Logistics' commendable results for 2018, pressure remains on the turnaround of that business with the aim of driving returns closer to the group hurdle rates. The low gearing levels in the group mainly as a result of high cash on hand will be addressed going forward by both acquisitions and optimisation of the existing capital structure to improve group returns.